These T-nuts are compatible with the Bosch structural profiles. Please note there are 2 variants. 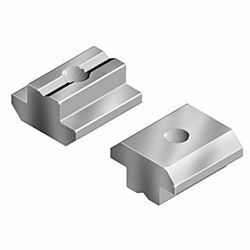 NUT10 is most commonly used in the 45x45 and 90x90 series Bosch Profiles, the groove width is 10mm hence the name Nut 10. Nut 8 is used in the 60x60, 30x30 range of profiles, the groove width is 8mm.